On the 17 th, in Japan, I updated Pokemon GO Gold and silver large scale. Even in Tokyo, people who are playing Pokemon GO again got to see it, and pocket stops were obviously active modules. Already, the gold and silver Pokemon, the place which is arranged in the gym also stand out. This time, will you play Pokemon GO Gold and Silver again? Do not you do it? I would like to think about the doubt. I am sudden, but first I would like to think from the disadvantage. After all, it was more enjoyable when playing while enjoying Pokemon GO by several people, and even though I was playing Pokemon GO alone, I had a feeling like a monk. I have memory that I was tired. For work Pokemon GO, I was playing around the neighborhood and in the park, and I got home and got home. It's just a waste of time. Some people gave us such complaints as "There is no Pokemon in front of us!" That's right. I was crazy. It was kind of troublesome for some reason. Often, accidents were reported in the news right? When I do Pokemon GO, I do not stop suddenly steadily, and when stopping I was playing Pokemon GO while carefully avoiding it at the edge, but nearby Pokemon trainers, Everyone was not like that. I was suddenly turned around in front of my eyes, or crossed the front of me with tremendous pressure ... It was dangerous when I was the most hurt. I think that it is okay for places that are nothing but, again, is not that such a nest of Pokemon is such a feeling every time? Especially Odaiba! So here I would like to think about the merits I think. Did not you go through the POKéMON GO a lot to parks and spots you have not been to? Among them, I think whether it was getting Pokemon with my shortest route and time allocation etc. in the park without knowing it. I do not know what it will be useful for, but perhaps depending on the type of occupation, I can train my important abilities, and in my case I felt the part I was familiar with climbing. In my case, I was doing excessive Pokemon GO, so it was not healthy, rather it was one where fatigue was gathering. I think that taking a holiday walk will be pretty healthy if you play Pokemon GO. Because it is early spring, I think that it is cold, but daytime has been warmly recent. Although I think that it is a single piece of paper when deprived of important time of demerit 1, I think that the game also has some elements of relaxation depending on some people, so I feel that it is not bad to play Pokemon occasionally I am doing it. Although the story changes, what now is there to be able to play without spending money? Why are you doing Pokemon GO Gold and Silver this time? Do not you do it? Although I have thought of myself, I decided to take Pokemon GO for a relaxing break in my spare time. 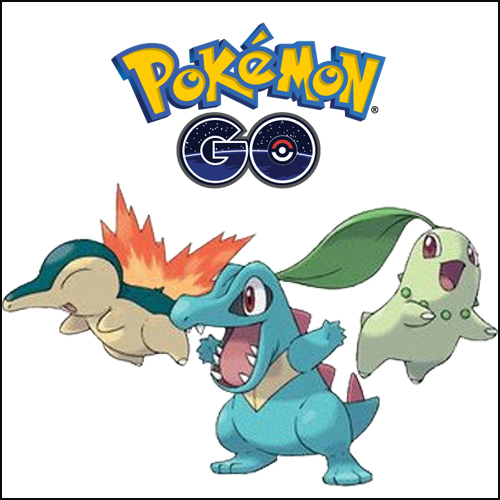 Pokemon Do you play GO again?